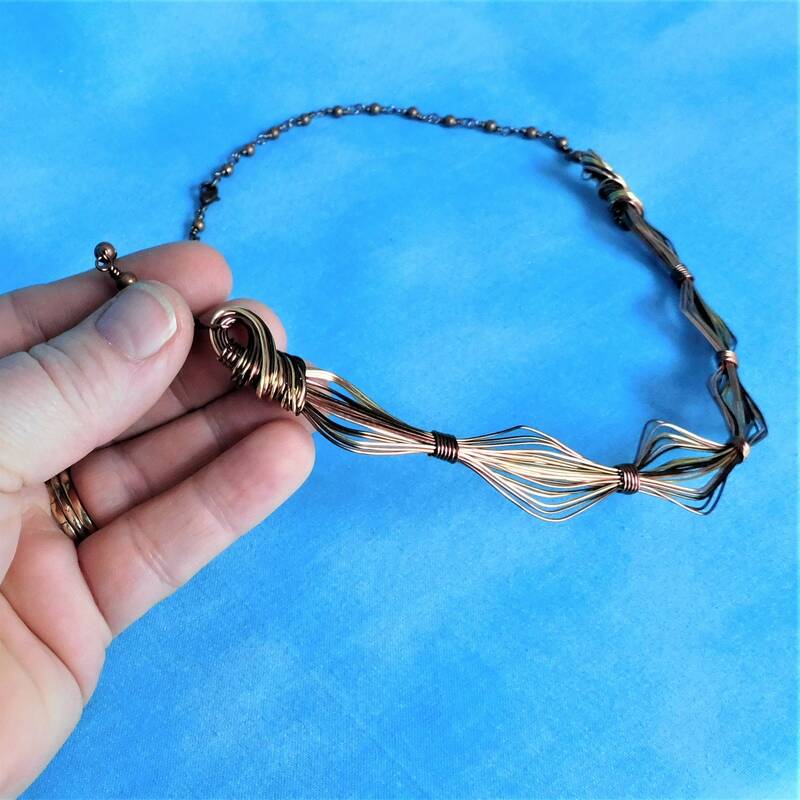 Copper wire is hand sculpted and wrapped using eight different shades of non tarnish copper wire. 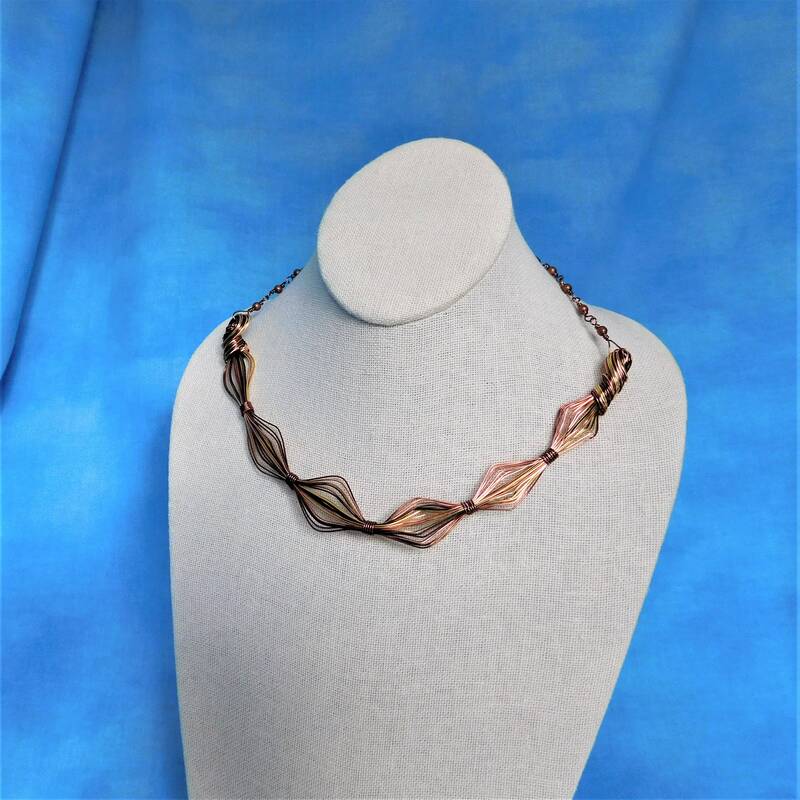 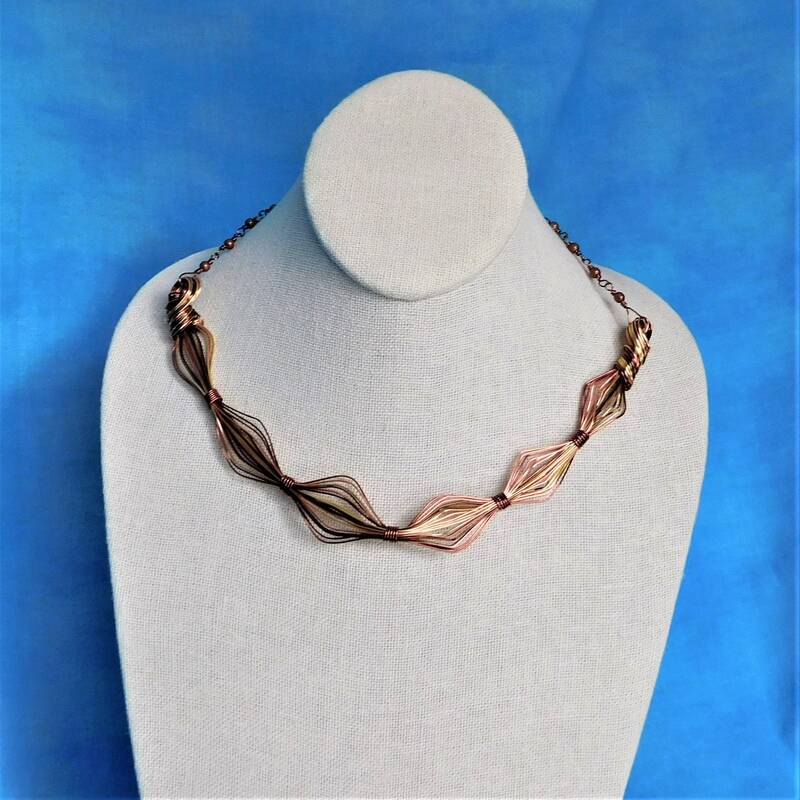 The unique bib is suspended from individually wire wrapped copper beads, to form a bib style necklace that is elegant enough for formal wear, and yet understated enough for casual every day wardrobe choices. 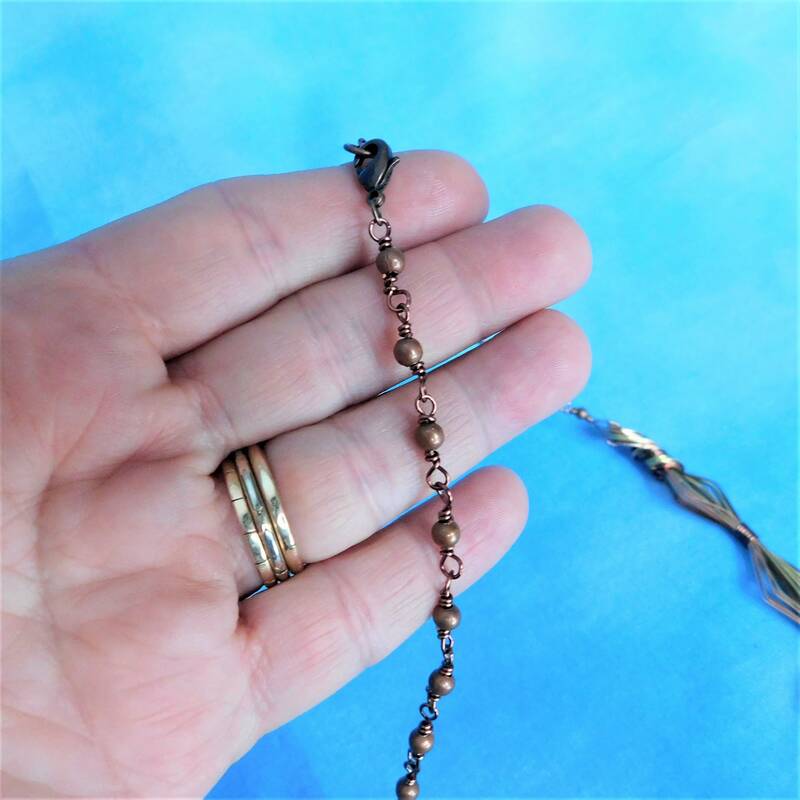 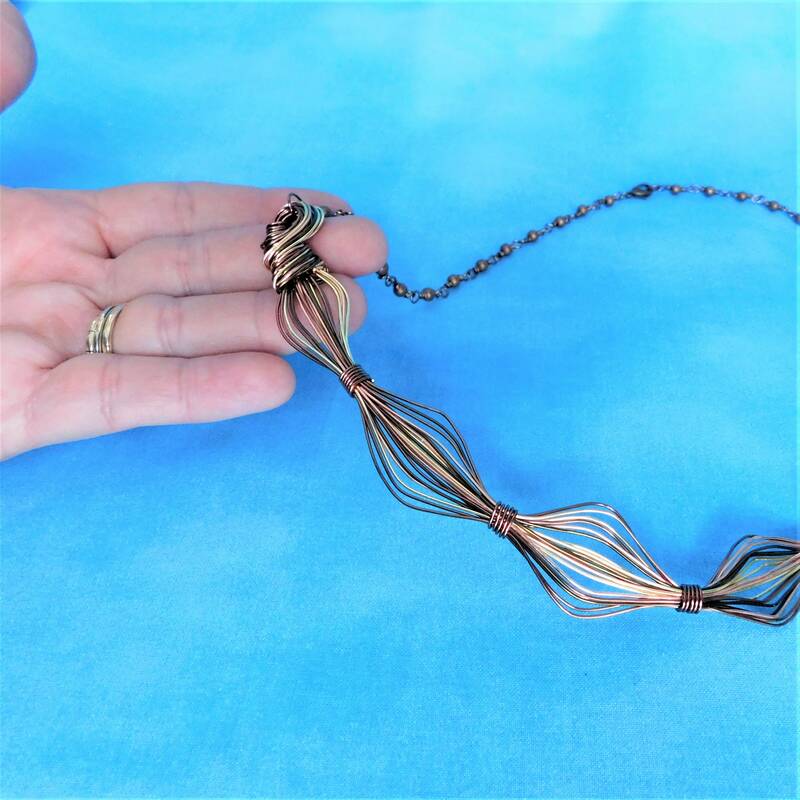 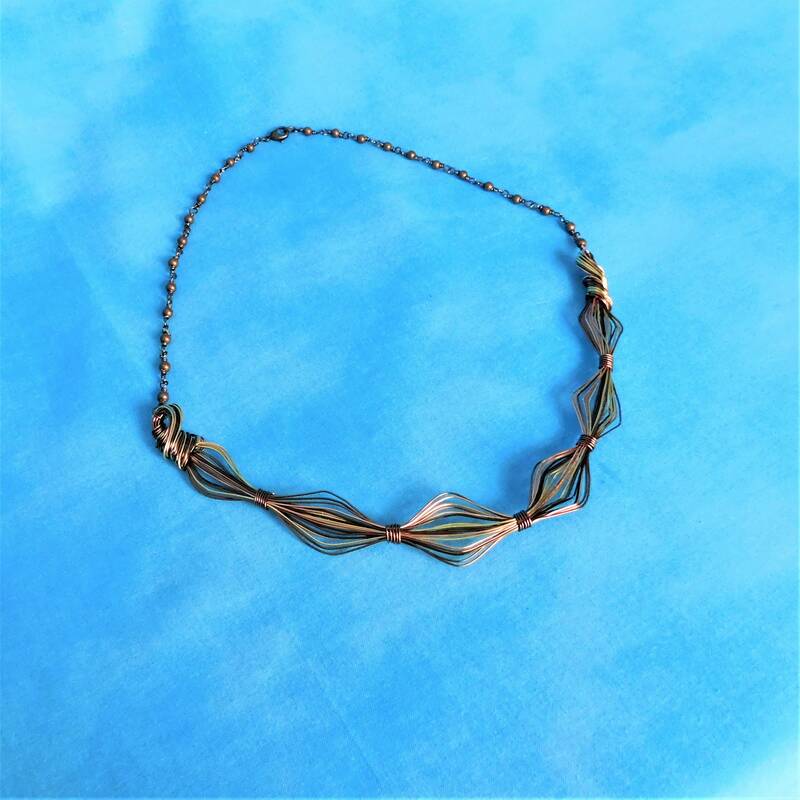 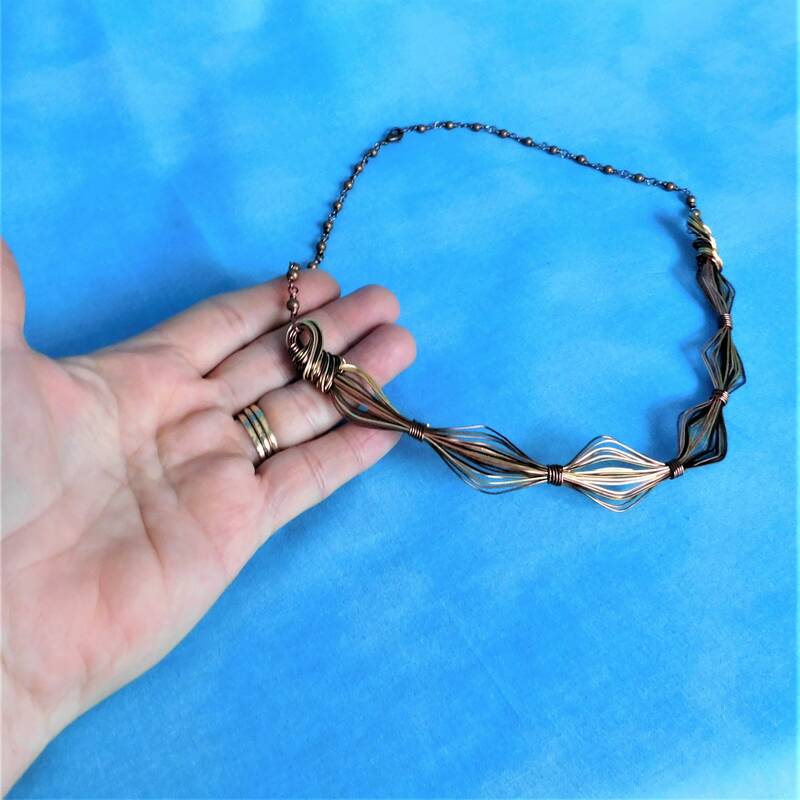 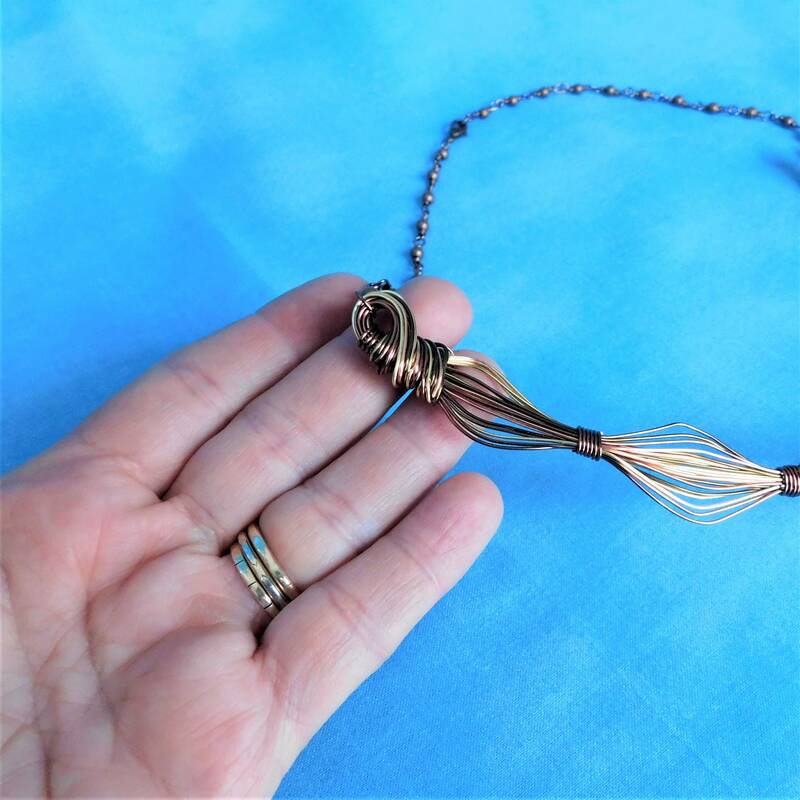 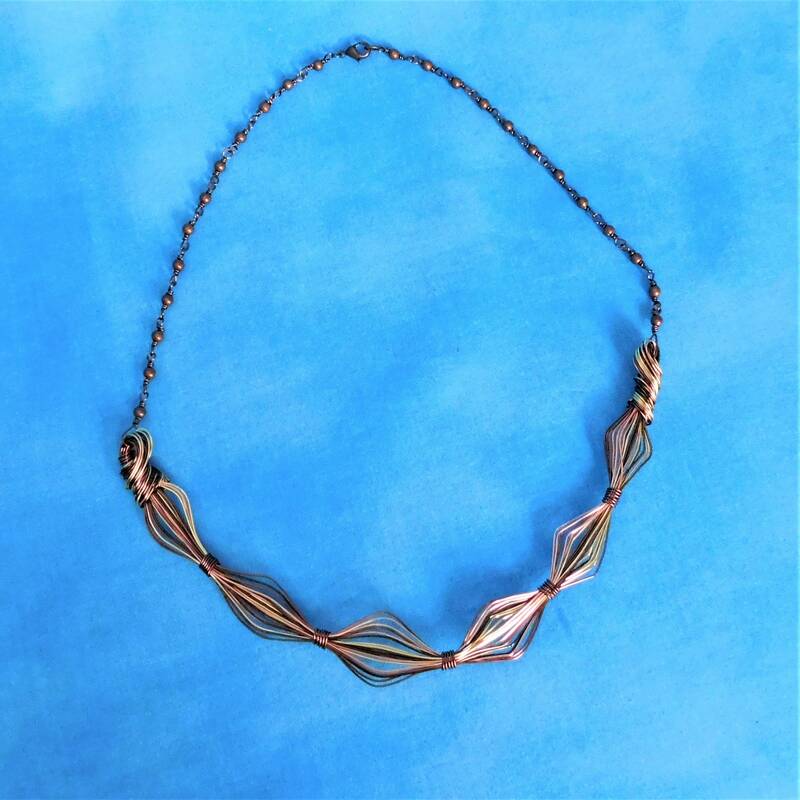 The copper wire and beads come together in an interesting design, creating an elegantly detailed piece of artisan crafted jewelry that stands the test of time. 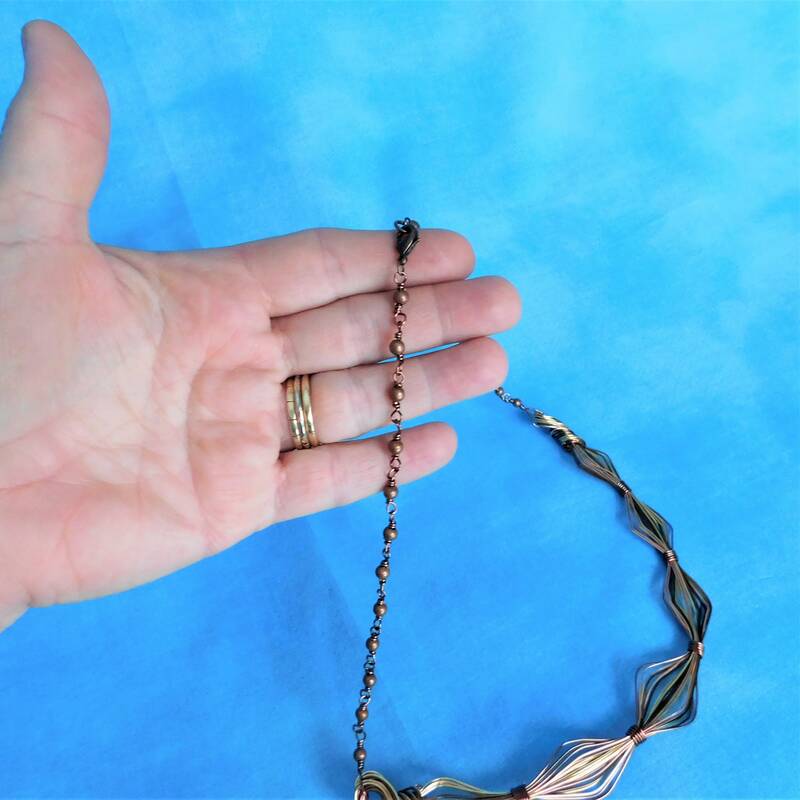 The total length, including beaded link chain, measures 23 inches.